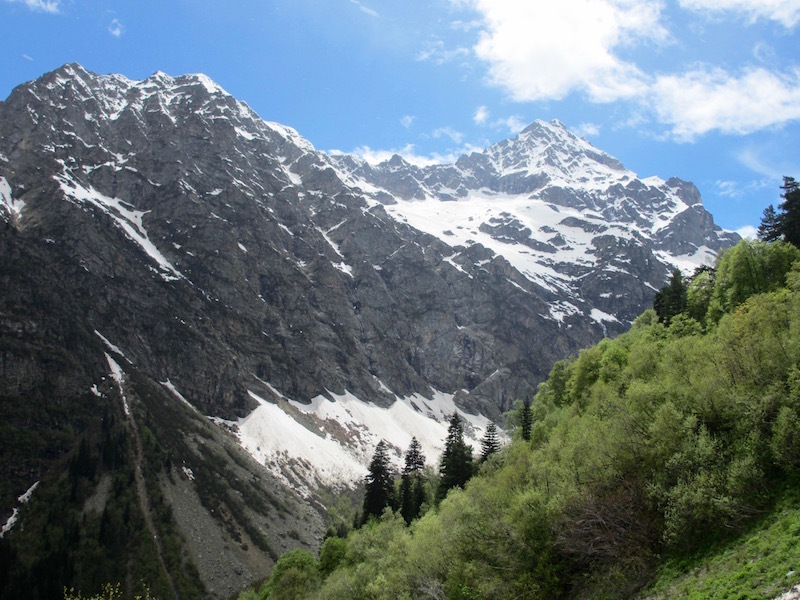 To hike Svaneti and its wild terrain is a journey into Georgia’s ancient past and a connection with its traditions. 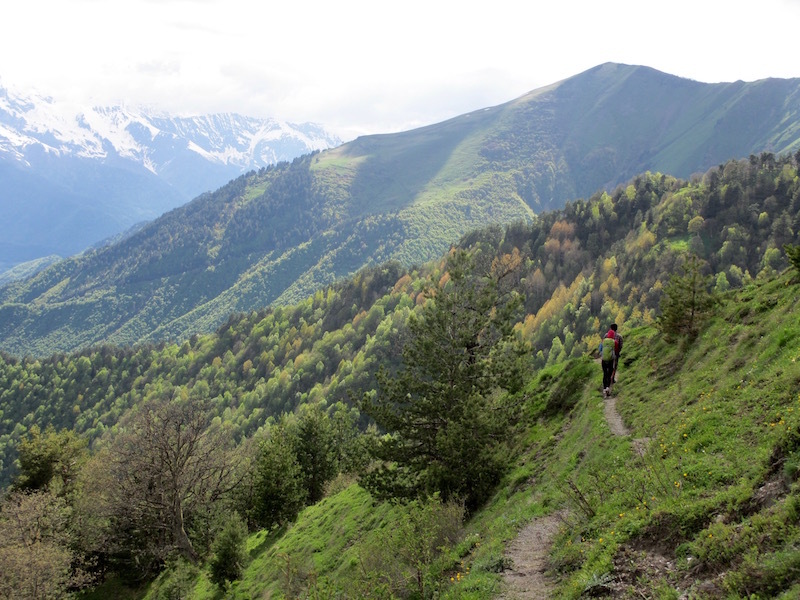 We visited an isolated corner of the Greater Caucasus mountain range, Svaneti, as part of community engagement efforts for the development of the ambitious long distance hiking route the Transcaucasian Trail. Svans, or Soanes in classical sources, are descendants of Kartvelian tribes historically admired for their courage, never being conquered despite several invasions from the Arab, Mongol, Persian and Ottoman Empires. Svaneti’s isolation and resistance to invading armies offered a safe repository for valuable religious icons, jewels and manuscripts sent to the region by neighbouring lowland Kingdoms. The defensive role of Svans and their reputation as fierce warriors has always been a proud feature of the region and allowed the preservation of its even older cultural identity, language, feast rituals, and social codes. Svans were famed goldsmiths and craftsman, using sheepskins to sift for gold in its mountain rivers. In fact, it is thought that Svaneti is the origin of the Golden Fleece sought by Jason and the Argonauts. Today, summer visitors can enjoy the traditional Holy Festival in Kala in which men compete to ring a bell weighing more than 260 pounds to honour an Orthodox Saint and a pre-Christian fertility God. 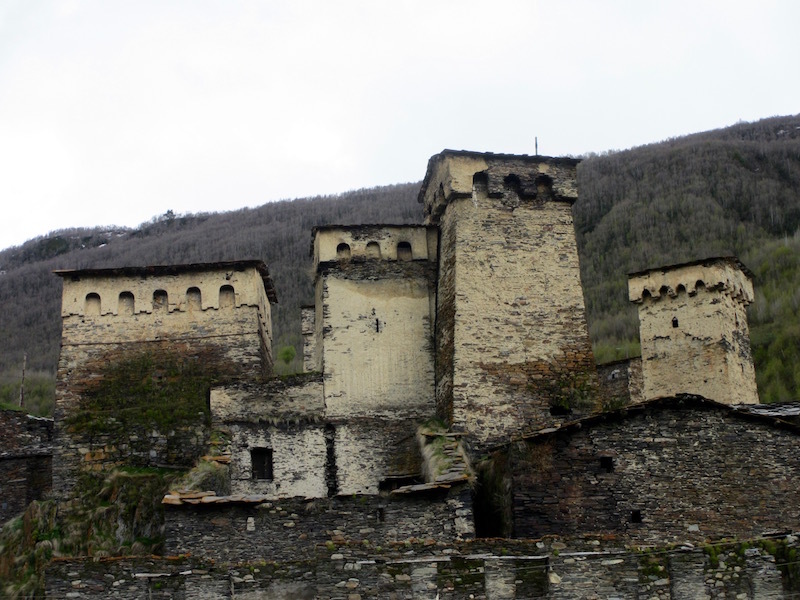 Hiking through Svaneti you will encounter many of its remaining 200 towers built between 9 – 13th centuries for shelter during raids, wars and blood feuds, which are now used for agricultural storage. The iconic towers are UNESCO World Heritage Sites, the oldest being located in Ushguli, Europe’s highest permanently inhabited villages. The well-visited villages of Ushguli have been accustomed to tourism for several decades, noticeable by the various guesthouses to choose from. Local guesthouse owners are aware that it is local traditions, natural food, and pristine landscapes that entice explorers to visit their villages – aspects that, in addition to peace and safety, will ensure their competiveness and successful promotion. One guesthouse owner stated that the biggest limitation to local tourism development and investment is a lack of infrastructure and felt that the planned Trail will encourage new visitors since they will offer safer, marked routes. Additionally, the trail will bring year round income with hikers in the summer and ski tours in the winter. The Trail will be a platform to stimulate more visitors to Svaneti, plus, provide access to more isolated villages not yet on the tourist map. During our community engagement efforts, we aimed to bring an understanding of the Trail’s goals whilst using local knowledge to help identify the most rewarding paths. We visited several villages where tourism is in its infancy, one village currently receiving just 10 visitors per year. It was clear from discussions with locals that the Trail is welcomed and supported, appreciative that they were consulted and requesting acceptance of the project before beginning trail building. Villages are enthusiastic to support more tourism, motivated by a greater financial return to balance alongside the more traditional agricultural work. All communities see tourism as an opportunity to provide a better quality of life and wish to see the flow of visitors increase – they wait for the Trail to become reality. The most exciting thought is how the Transcaucasian Trail will allow hikers to experience the warm hospitality of the lesser-known villages whilst learning of the history, beauty and diversity of the Caucasus – picture many stories and friendships being exchanged along a Trail journey. The Trail challenges the current approach to mainstream tourism – aiming to achieve something beyond simply visitor numbers, identifying how locals can be self-directed and benefit from a more community-focused approach to tourism and rural development whilst creating a regional social movement for outdoor leisure and hiking. 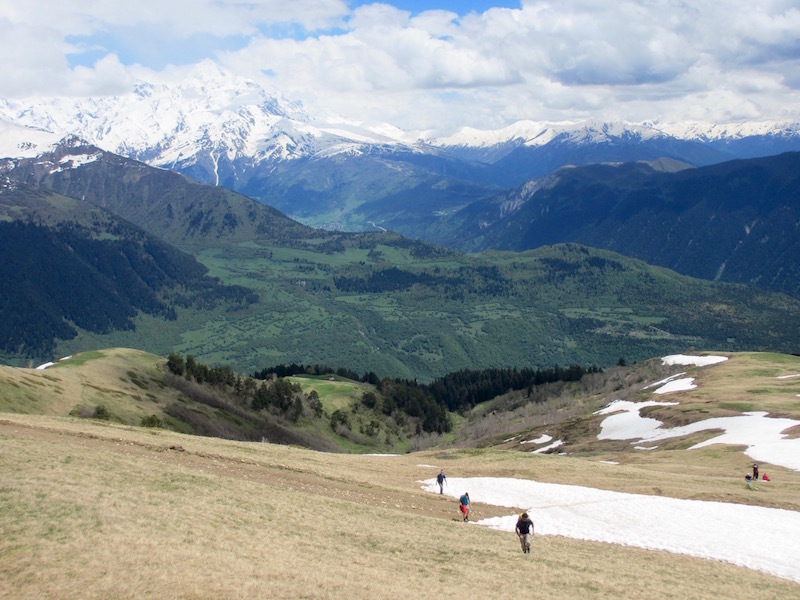 This summer volunteer camps involving international and local outdoor enthusiasts shall begin trail building, marking and mapping in Svaneti as a model for further Trail development across the Caucasus.